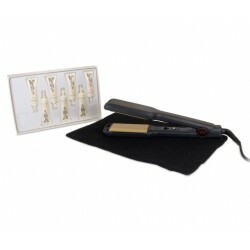 Wide GHD - Cheap GHD Salon Styler hair straighteners, GHD wide. The cheapest GHD wide hair straightener combined offers. GHD Salon Styler ceramic straightening iron. Following on for the success of the original GHD ceramic straightener we are pleased to present the GHD Salon Styler. With wider ceramic plates that smooth and shine your hair in minutes, easy to use with salon results guaranteed. These straighteners are perfect for thicker hair. Locks in moisture with no hair damage. Salon approved to straighten and smooth. this can be extended to two years if you register your new straighteners at ghdhair.com. Get stunning salon style with the GHD Salon Styler wide professional hair straighteners, GHD Thermodynamics Thermal Protector and a heatproof roll mat. 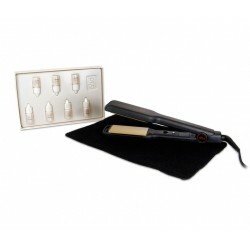 GHD Salon Styler wide hair straighteners professional haircare pack. Get stunning salon style with the GHD Salon Styler professional hair straighteners. This hair care pack includes Urban Culture toneup shampoo (375ml), Urban Culture tone up conditioner (375ml), Urban Culture Playtime moulding juice and Hair Art Moist Max hydrating treatment. Get stunning salon style with the GHD Salon Styler wide Professional hair straighteners and GHD Rescue Drops. 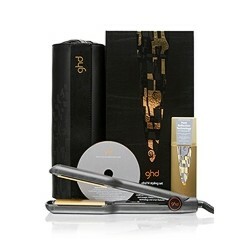 GHD Salon Styler hair straightener, together with the GHD Indulgence treatment. 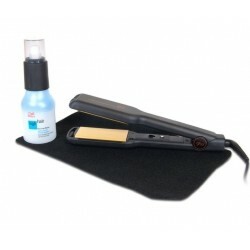 GHD Salon Styler hair straightener, together with Wella High Hair iron spray.